Content Marketing and advertising are big topics at the moment. I come from a commercial advertising background but I now work much more in a content marketing relm, so the journey of learning the difference has been very important for me. Some people hate commercial advertising and love content marketing and visa versa. I personally see them as having different purposes – sometimes one suits your business more than the other. We’ve included some examples from our own work so you can see. The way I like to see it is when you produce content that provides value. Think – blog posts, interviews and anything else your audience might be interested in. The key is that you are usually providing them some value and you are not explicitly promoting your product or service. The aim is to get people interested in your product or service in an indirect way. So, if you’re sharing really useful information or things that are really helpful then people might come to your website and check out your product or service. Advertising is where you are explicitly promoting your product or service. For example, think about all perfume adverts promoting their expensive perfume, or the car ads where you are shown all the features of the car. Advertising will use the more traditional routes such as: TV, Radio, Billboard ( also referred to Out of Home or OOH for short), Direct mail and email. You can also see paid brand advertising online in the form of web banners and promoted posts on social media. Content marketing is primary online and might be seen more on social media and blogs. brand advertising example of we promoted HowNow on social media with text that advertised the product. Content Marketing Vs Commercial Advertising? You might be wondering when content marketing should be used and when commercial advertising should be used? Well, in my opinion both are useful and can be used at the same time. Advertising can be great for trying to raise brand awareness and to make sure you are reaching the right audience as you can more precisely target your consumers. As Content Marketing on the other hand can be great for building up a strong relationship with your consumers. Purely because you offer them more value and are far less invasive with your product or service messages. I believe content marketing should be done at all times to build up long lasting customer relationships. Content marketing is essentially the personality of your brand. It’s like a friend that is dishing out super handy advice to you, without becoming preachy. Commercial Advertising should be used to get your product to consumers mind in raising brand awareness or informing people of a new product or service. So use content marketing more than you use advertising is the way I look at it. So, there you go – that’s the difference. Fairly simple way to remember is just think advertising means promote product and services and content marketing is producing useful content. Let me know if you have anything really interesting to add to this as it’s an evolving discussion and sometimes lines can feel blurred. 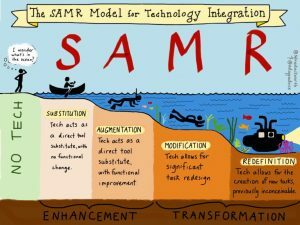 So you want to teach online? You want to start teaching pretty soon and you don’t want a long process of waiting around before you can get started? 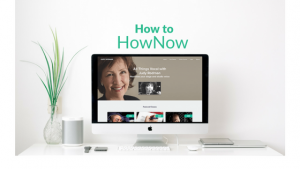 If you are all about results and getting on with it, then here is how you can get on with signing up to and teaching online within a day with HowNow. 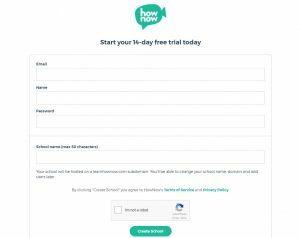 So with HowNow you can sign up to a two week free trial. We recommend you have booked a demo beforehand or have got one coming up so you can see how to use the platform and understand what parts of it may suit you more. You can get started without one as the website is super easy to navigate. Message us on social media if you want to arrange a demo and we will send you a link to book one at a time that is right for you. There is a wealth of support articles to help you out if you have any questions. The fun bit! What are you going to call yourself – what are you about? As long as you have the content, getting started couldn’t be easier. You can upload all sorts of content and have content that is available in multiple formats in one lesson. If you didn’t have all the content available but wanted to run a lesson that same day, you could always upload the first lesson. You can outline what the course is going to entail and upload everything else earlier. Are you going to draw them in with a free course first? You might do this so they can feel reassured if they are paying for you in the future they know your content is worth every penny if not more! 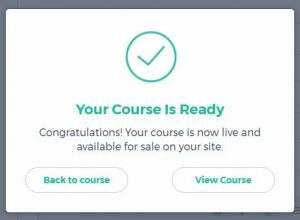 Pricing your courses can be difficult if you have never done this before. I would recommend looking at what people in your chosen discipline are pricing their courses at in their businesses. If you’re a big business you might want to add the multi currency option so that your users can see the price of their courses in their local currencies. 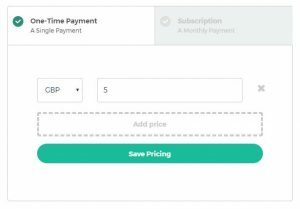 Set up your payment method via stripe or/and Paypal to be able to receive payments from your learners. You’re almost ready to publish on HowNow! Webinars are a great learning tool, as you can feel like your attending a lecture that you can interact with. There are many free webinars out there that people should really take advantage of. They are a source of wisdom and expertise for areas within your business. What’s great about webinars these days is that you can also participate – asking questions or voting on answers the speaker sends out to the audience. We have gathered 5 free Webinars you should attend to grow your business. Biz Launch are offering a great free webinar on how to grow your business with a human customer experience despite being an online business. This webinar will cover how to execute a human to human customer service strategy online to stop your customers being lost to competitors in a few clicks. Date for the Diary: 10th April. Hootsuite is a fantastic tool to use for scheduling social media posts, and anyalsing social media performance. Facebook can be a tricky playing field for brands as it’s difficult to understand the metrics on your ads. This webinar will take you through the key metrics you need to watch and how to interrupt them. Live chat is popping up (literally) on all sort of business websites at the minute. However, are you really using it to it’s full potential. I have experienced many live chat’s which will have a very long response time or could have captured more data. Intercom will be running the webinar which will show you how to use it as a strong sales tool for developing leads. 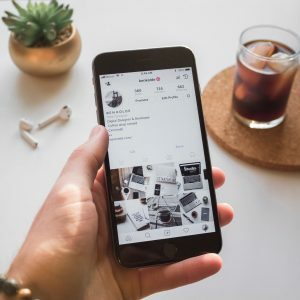 Instagram is a great place a brand can grow it’s business but it’s a tricky market to operate. If you don’t have great content and beautiful pictures then you will never grow properly on this platform. 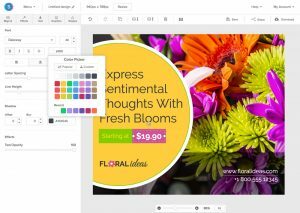 In this webinar they take you through how to create those beautiful pictures to really get your audience’s attention. 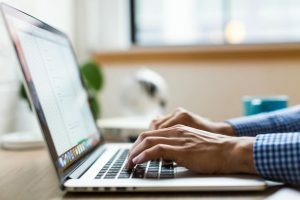 Email Marketing is still one of the most effective ways to market your business and generate new leads and encourage existing ones to come back for more business. In this webinar they will take you through how to get your email game on auto pilot so you can have repeat and new business coming to you. 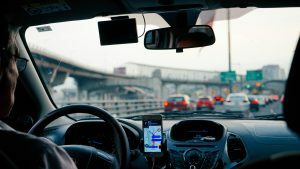 Side hustle described by Entrepreneur as ‘a way to make some extra cash that allows you the flexibility to pursue what you’re most interested in’. 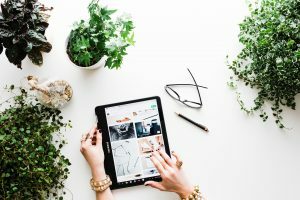 A lot of people take up a side hustle at some point in their life whether it is to pursue a passion or maybe looking for some ways to make some extra cash. 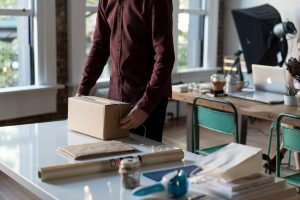 We’ve looked at the most common Side Hustles people do that are easier enough to take up this weekend. Buy something cheap and add custom designs to it such as T-shirts or coasters then sell it for a premium. You could bulk buy something from a supplier in another country, then sell it to your country as you know the product isn’t easily accessible in the UK e.g American sports fashion. Find collectible items/antiques at car boot sales or from suppliers and sell them to collectors online. This is by far the easiest way to make large amounts of money without having to spend much. As long as you know something more than someone else, then you can start teaching. If you are a grade 3 pianist then you can teach people the skills for grade 1 and 2. Or do you speak another language you can start teaching that! So how would you get started? Sign up to HowNow (so obviously I am going to suggest HowNow but it is truly awesome.) You can book a demo if you don’t believe me and sign up for a two week free trial! Do you have a car? Can you carpool or sign up for a delivery service or taxi service. Handy around the house? Sign up to task rabbit to become a helping hand and help people with all sorts of tasks from building IKEA furniture to putting up shelves. So many Side Hustles you could do with sharing your services. If you have a phone with a decent camera or an actual camera you could do this. Take amazing pictures, capture great moments and start uploading them to stock imagery sites that may buy your photos. Foap– great to use on your phone and see challenges that brands and companies put out with a large cash prize for best picture. Are you really good at your job or maybe your really good at something which you can’t use in your job? Start freelancing on the side- hire out your skills and expertise to work with people in your downtime. You could be a graphic designer and maybe you want to freelance yourself to a small business to produce some graphics for them. Investigate where your expertise might be needed for great Side Hustles. Have you thought about mixing up your format of teaching or educating? Whether you are looking at a new way to educate your employees such as through training modules. Or maybe you’re a private tutor looking to educate more people at once without hosting them all in your home. 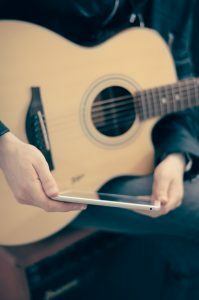 Here are 5 Pros to educating through Video based learning. Video is one of the most engaging and efficient way to get information into your audience. Did you know that the human brain processes videos 60,000 times faster than it processes text. So it’s literally more time efficient and productive to learn through video than it is reading many documents and text. That’s not to say however, that you shouldn’t support video format with some summary points in a document. Use video to deliver the core information and a document to hold the summary if they wish to glance back later. Read more here. Using video based learning is far more personal and allows you to either have a recorded version of you teaching without you having to be there physically or a live streamed one. Using a video style of teaching means you can express yourself in the way you would normally and this can be much more persuasive compared to other formats. This can be great if you’re a private tutor and have a high demand for lessons but have little space to host them in your house. This can also be great for a company wanting to do a mass staff induction where you want to deliver a lot of information quickly and clearly. As a company or a small business or a solo-entrepreneur costs are important to your business. If you’re looking to save money on the long run and reach more learners without increased location and printing costs, then video learning is the way to go! 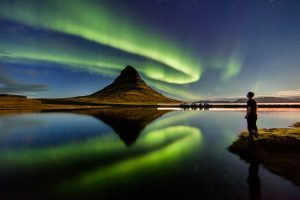 If you think about the potential printing, location, and travel costs not to mention time- then you could be saving hundreds and if you’re a large business; potentially thousands! if you an individual tutoring you could sign up to HowNow for a year at £22 a month and cut out your £4 return bus and 40 minute traveling to each students house. Savings made easy. There is a rise in micro learning – learning a small unit of something – a bitsized amount. 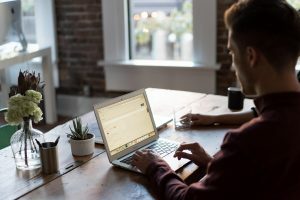 Video learning can be accessed through a website by a provider such as HowNow- meaning anyone with an internet connection can log into your online school and start learning straight away. This makes it accessible and portable – so you could be taking these small video units on the commute into work or maybe during the holidays at home. Did you know 65% of the population are visual learners according to the social science network. That means not using video format or a picture format could mean you are not teaching 65% of your audience in their best medium. For those learners that are not visual or audio then the supporting text material can be a great way to cater to all your learners. 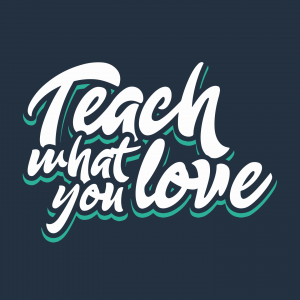 If you are planning to teach online and want to find some successful Educators to take inspiration and guidance from then keep reading. So if you’re wondering who to follow and who is in the know in the world in of educators? 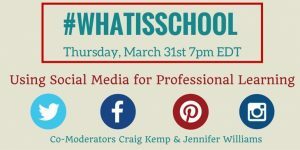 Here are some of the influential educators you should follow on social as well their personal websites that are worth a visit. Alice is very successful as a result of teachers and Educators coming to her for fantastic inspiration and resources. Alice is an advocate of Google Suite for education purposes and thus features it in her posts. There are a number of tools that Alice advocates on her website such as Grammarly which will grammar and spell check your words. Wendy has received the recognition as Time’s Magazine’s 100 most influential people as a result of her inspiring work. 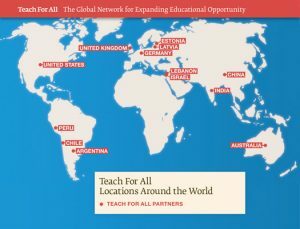 She has founded a company called ‘Teach For All’ which makes education accessible to children who are living in low-income families and deprived areas across the world. 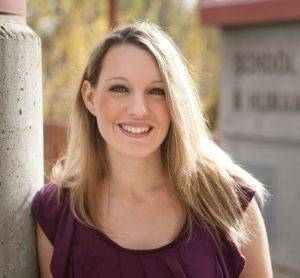 Wendy’s Twitter is full of inspiring articles and interesting content that will get you pumped for teaching. 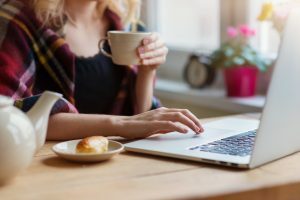 Vicki’s twitter posts articles from herself in addition to other articles she shares from Educators within the industry of education and eLearning. 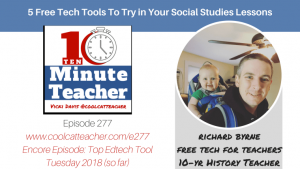 In addition to this, you will find that she hosts a 10-minute teacher show as well as a podcast which is updated regularly for her keen listeners. Oh and she also is an author of a book. This woman does it all! 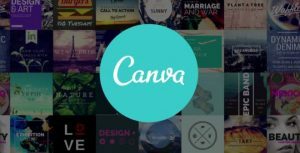 Canva is a fantastic Social Graphic tool, they offer a range of preset dimensions, for social graphics, website, infographics, Instagram posts and much more. They also allow you to customise existing templates, so you can adjust the colours, font and change the setup. You can also import images from elsewhere and then add text and icons to it. Canva is what we use and we love it. You can pay for this if you wish to upgrade to unlock more features. Picktochart is your go-to tool for infographic creation. You have seen infographics before I am sure? They perform so well in displaying complex information or an idea to your audience. If you got numbers and stats you want to share then use this tool to build a fantastic infographic for your business. 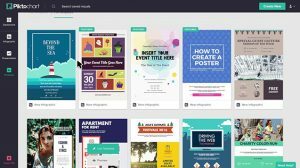 A Social Graphic tool that you can use to make beautiful graphics. 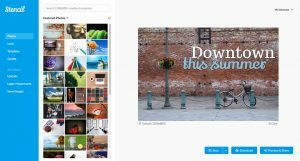 It has an extensive library of assets for you to use but you need to pay monthly to download more than 5 images a month and to have more than 1 user. You can publish directly to social media accounts which could be handy. Give this platform a trial you might love it so much you are fine with paying $10 a month for unlimited downloads. I mean $10 isn’t much if you end up downloading a considerable amount of graphics. Social Media is key to any business or to an individual who is using it to raise their own profile and engage with an audience. Therefore if you are using it to leverage your business or personal brand you will want to know how to use it best. We have picked out 5 of our favourite social media experts- some very well known, others new to the scene but offering lots of great value. They give really great advice on how to use the platforms to your advantage and also not what to do – as that can be pretty important too! 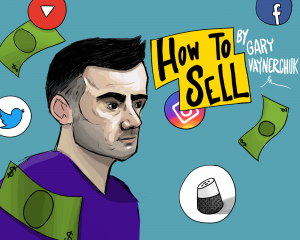 Gary is world famous and for good reason, he knows what he is talking about especially when it comes to social media. If you want really truthful insightful content that is delivered in fresh ways then follow him! 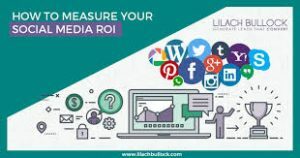 Lilach Bullock features a lot of amazing content on her blog. She has a lot of how to guides for social media and lead generation and SEO. I have read many of her articles mostly in the social media section and find them really insightful. 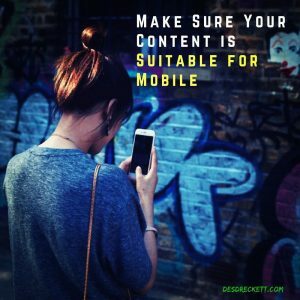 The blog posts can be very long but there is a handy content page at the beginning which allows you to skip to the section which is most relevant. Jade offers great advice when it comes to social media. 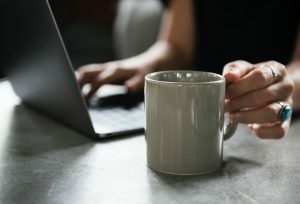 Her blog is fairly new and there are not many posts at the moment but the content is really beneficial and insightful. The youtube videos are really personable, answering many of the questions Jade gets through Instagram. Keep an eye on this space for some fantastic content. Rocki delivers fantastic useful content in a range of formats. 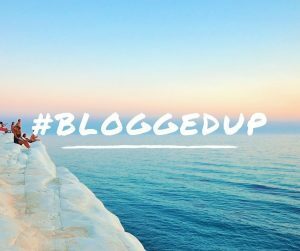 I recently attended her Instagram Live tips where she was delivering fantastic advice for her #Bloggedup content. Rocki is also fairly new to the scene in terms of offering advice and only has one blog post at the moment. However, there is lots of great content on her Instagram and I think it’s an account you will want to follow. Desmond has a lot to offer. If you’re a small business you should definitely be following him. He offers really easily digestible bits of information that could really transform the way in which you use Twitter for your business. Check him out and follow him on social. Struggling to keep your eyes open at work? Been super moany and snappy at friends and family? Maybe things are just too hectic right now and it’s really impacting your sleep and ultimately your life. Those who are stressed often end up having less sleep. If you’re an entrepreneur or a side hustler you will likely have a great deal of stress as you try and make your dreams become a reality. Then poor sleeping habits simply become a bad routine. 63.1% of people in the UK surveyed by Dreams were not happy with their quality of sleep. So what can you do about it? I am not here to remind you that you are not having a great nights sleep. You know that. What I can tell you is what you can do to improve your sleep and hopefully reduce your stress. Now I am not a sleep dr but I get a good night’s sleep so maybe I am an experienced sleeper. All the advice below has been taken from a number of sources which you can read more about. 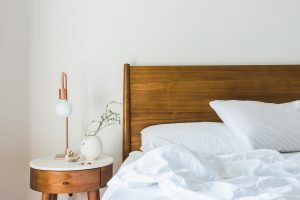 Read below on how to have a Good Night’s Sleep. At the moment you may only be going to sleep when you can- after that presentation you have to write, or when the coffee buzz has finally left your system. Your body clock is what helps you sleep and sticking to your sleeping schedule will in turn help that. So, this might mean going to bed at 11pm every night. Now of course life will mean that you want to go out some nights and are not getting home till 2am or maybe you’ve got to travel somewhere and need to be up at 5am. But generally speaking try and stick to this schedule even on weekends. I found going to bed at a very similar time and getting up at a similar time on weekends made that Monday morning so much easier. 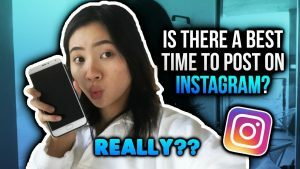 If you are currently going to bed at a crazy hour like 1am and you want to bring that bedtime to something more reasonable then start adjusting slowly, like you would if you were adjusting your body clock for a new time zone before you go on holiday to avoid jet lag (bit dramatic but you get what I’m saying). Try it for a good night’s sleep. Now some people relax in different ways. I personally choose to have a bath about 1-2 hours before bed to start relaxing me for bedtime. 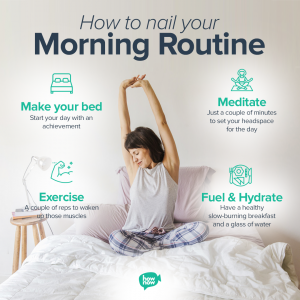 A routine I started as a child and continue to do today…. It hasn’t failed me yet. Others like watching a chilled out tv show, some like to read; whatever you find relaxing start doing that before you go to sleep. Research has shown that adult’s bedtime routines for calming them before bed are just as important as children’s ones. Avoid watching that thriller or tense drama before bed on Netflix as you will likely be thinking about that as you try and get to sleep. A lot of people and articles I have read recommend not having caffeine before bed. ( I personally, find this doesn’t affect me and will always have a cup of tea after dinner- find what works for you ). Start to reduce the light around you- switch off the glaring lights and turn on a couple of lamps. It’s not the first time you have heard that exercise helps your life! Move the coffee table back and start doing some home workouts tonight. 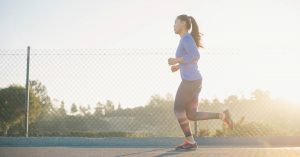 Physical exercise increases the time spent in deep sleep, which as you may be aware helps boost your immune system, cardiac health and control stress and anxiety (The sleep doctor). This could be simply a home workout or a regular team sport you play after work. Try it for a month and see if you notice an improvement. Now eating habits? There are mixed opinions on this. However, you should try and eat a few hours before bed to avoid sleeping on a very full stomach. Your body will be fast at work digesting your food and won’t be able to focus on your immune system . However there is conflicting evidence, so feel free to read more here.